Michelle Sugar Art and Kerrygold butter reveals a giant meadow cake measuring (2.5x4m) 8 x 14 feet long to the city dwellers at Finsbury Square Avenue in London on Wednesday 22 July 2015. 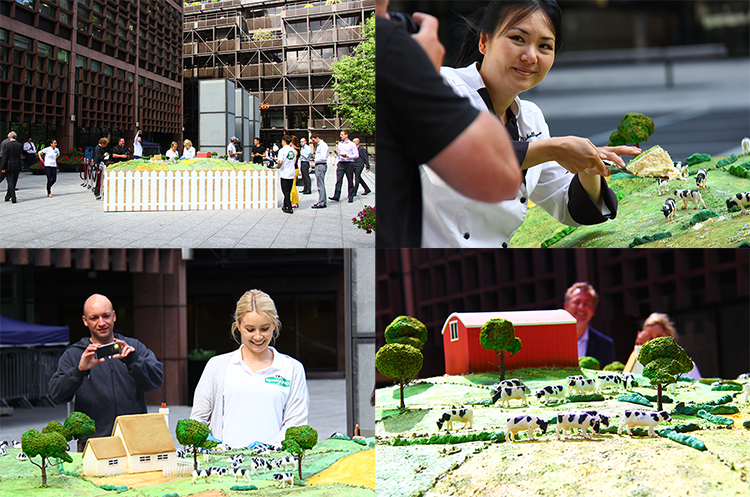 This half-tonne creation is made out of sculpted vanilla sponge cakes with buttercream filling, covered with fondant. 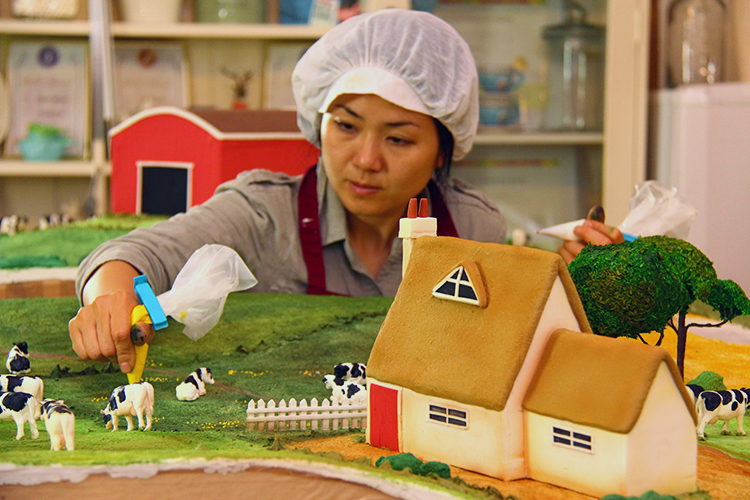 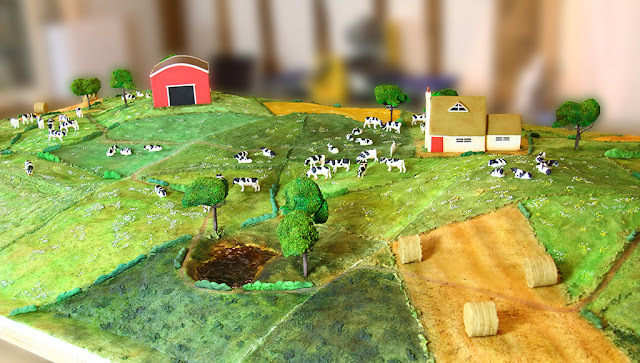 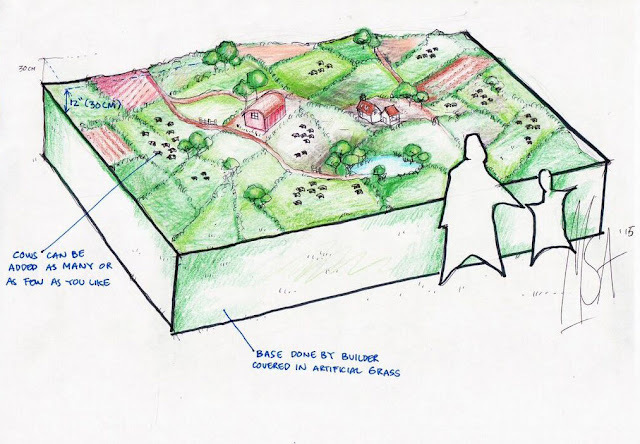 There is a miniature farm house, a red barn and around 100 cows made of fondant.